The idea of crossing the ridge of Stara Planina from the Serbian border to Cape Emine was born soon after the foundation of the Tourist Movement in Bulgaria. The honor of founding the organized tourism is given to Aleko Ivanitsov Konstantinov (The Lucky man), a famous socially active person, a lawyer, a writer. Aleko was born in Svishtov, a town in the Ottoman Empire, in 1863. He studied in the Aprilov High School in Gabrovo and finished his high school studies later on from a senior high school in the Russian town Nikolaev (1881). 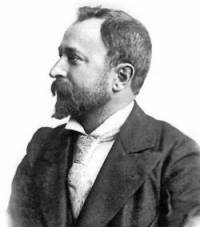 Aleko graduated his university studies from the Faculty of Law of the Novorossiya University in Odessa (1885). After returning to Bulgaria Aleko worked as a lawyer and participated in public activities. On 23.08.1895 he published an invitation for a group ascent of the peak Cherni Vrah in the newspaper “The Dawn” (“Zora”). Four days later, on August the 27th, under the guidance of the Lucky man and two forest workers, 297 enthusiasts from Sofia and the rest of the country participated in the trek from Orlov Bridge (Orlov Most) to the highest peak of Vitosha. This date is considered to be the beginning of the organized Tourist Movement in Bulgaria. Soon after that, the idea of crossing Bulgaria on foot, from one side to the other along the ridge of Stara Planina appeared. Aleko himself shared with friends that if he wasn’t able to achieve his dream of a worldwide journey, he would be happy to cross the “magnificent mountain” from the Serbian border to the Black Sea. The Trans-Balkan itinerary is known today as Kom-Emine. It starts from the closest peak which is allowed to be climbed for tourism purposes: the Big Kom. Today it is possible to walk the entire ridge of Stara Planina, the border zones including. You have to take permission from the administration of the Border Police beforehand. Kom Emine is a hard trek, but frequently chosen by tourists in the past and today too. Unfortunately the Lucky Man did not achieve to walk the route because of his untimely death. The first crossing of the route was realized in 1933 by the famous geographer and naturalist Pavel Dimitrov Deliradev. He was also known as “The Follower of Aleko”, 36 years after The Lucky Man’s murder. Pavel Deliradev was a scientist, a social figure, a publicist. He was born in Panagyurishte and was a relative of the great traveler Nikola Deliradev. His life was extremely active and full of interesting events and turning points. By the year 1920, he was active as a politician, and as a secretary of the band of Yane Sandanski. Later on he was mobilized in the wars for national unification. 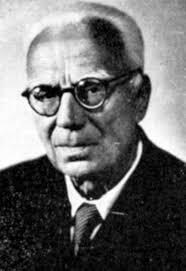 After the end of the wars Deliradev was no longer socially and politically active so he devoted himself to a scientific career. 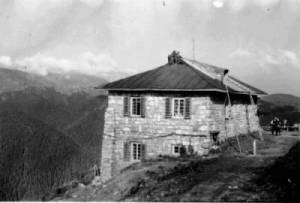 The first mass ascent to peak Mussala was organized under his lead (on April 8, 1923). Pavel Deliradev was among the founders of the alpinist and speleologist initiative in Bulgaria. In 1933 Deliradev made the dream of Aleko Konstantinov come true. 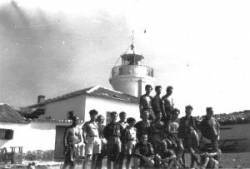 He and his companion Pavel Tsviatkov walked all the way from peak Kom to cape Emine, an itinerary which was considerably harder and more circular than it is today. Deliradev and Tsviatkov carried bag packs that weighed 20-30 kilograms, 10-12 hours per day. The weather during the whole trek was rainy and the temperatures were low. Back then, there used to be only 7 huts throughout the way, so they would spend most of the nights outdoors, covered with a ground sheet by a burning fire. With his book “From Kom to Emine” Pavel Deliradev made a significant contribution to Bulgarian tourism and the literature on the same subject. He made a detailed description in the book of his experiences, thoughts and the observations he had during the crossing, and analyzed what he had seen along the way. 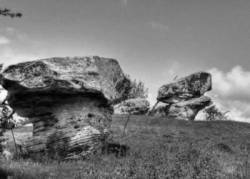 It is not until the 50s of the last century that a serious interest is shown for tracing and marking of the ridge of Stara Planina. The first organized massive trek happened in the summer of the year 1953. 34 people crossed the ridge from Kom to Emine in 30 days under the lead of the Republican Tourism Commission of the Supreme Committee for Physical Education and Sport. According to the sources, the main problem during the expedition was the poor organization and insufficient preliminary preparation. Two more research treks were necessary, which took place in 1955 and 1959 before the exact trajectory of the route could be established. These years were years of progress for the tourist field, a time during which a big part of the tourist huts were built not only in Stara Planina but in the other mountains of Bulgaria as well. The active marking of many of the established paths began. The 60s of the last century were marked by the realization of some of the emblematic first crossings of the route – by ski (1962) from Kom to Emine, by motorcycle (1965). For a period a little longer than a decade the popularity of the trek increased and more people desired to take part of it. In the 70s, the Bulgarian Tourist Union laid the beginning of a tradition that is still alive today: a yearly organized crossing of the route. Nowadays the traditional trek is organized once or twice per year and everyone who wishes to participate is allowed to. In 1987 Liubomir Palakarchev broke the record of speed crossing of the route: 5 days and 14 hours. There were many unsuccessful attempts for another record over the years. It was not until 2015 that Bozhidar Antonov run the route for 5 days and 10 hours and just a few days later Kiril Nikolov broke the record again scoring 4 days and 13 hours.